F3, Day Seven! One voice to thrill them all, and Armitage to bind them! March 18, 2012, is Laetere, or Mothering Sunday in the UK, when it was originally the custom for people in England to visit their home (or “mother”) parishes in honor of the Virgin Mary and the “mother church.” Although it doesn’t seem to be the big commercial event in the UK that it is here, since the early twentieth century, Mothering Sunday also includes the secular celebration of mothers: what we in the U.S. call Mother’s Day. 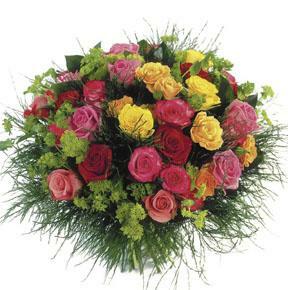 Happy Mothering Sunday / Mother’s Day to Mrs. Armitage as well as to all the mothers who mark this day! The roses at left are for you all! Welcome to the seventh and final day of FanstRAvaganza 3, with nineteen new posts planned for you to enjoy! 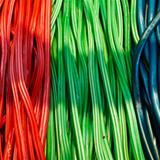 Some posts are scheduled to appear automatically, while others will be posted manually. Not every link may be live until the end of the event day at 23:59, London time. Links to all FanstRA 3 posts appear here at the end of each day, too! F3 Day Seven in the tagteams: Last, but definitely not least! In freeform: Agzy shares her favorite Richard Armitage paper doll (steamy!) • Ana Cris examines Lucas North’s tattoos through Maori tattoo culture • Jas Rangoon premieres her new John Bateman fanvid • In fandom, jazzbaby1 thinks RA fandom is just groovy! • C.S. Winchester asks “naughty or nice?” in a picspam • Mrs. E.B. 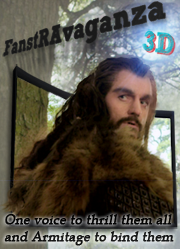 Darcy thinks about Armitage’s future after TH to wrap up the Hobbit chain • Jo Ann offers the last King Richard Armitage post, on Richard III and the Tudors • In fanfic, Maria Grazia reviews and compares works by the authors she’s interviewed • Gratiana Lovelace wraps up the event with a guest post by Melissa the Mouse! • Links to all FanstRA 3 posts appear here at the end of the event! Traxy with her F3 wrapup (alert: adult topic) • Fanny interviews Wattpad author whatcatydidnext (beware: potentially NSFW) • Jonia profiles her top RA relationships • mulubinba on The Impressionists locations and trivia • bccmee with one final game for everyone to enjoy • cdoart on Armitage, his historical interests, and what they suggest to women • fitzg guests at Confessions of a Watcher with a letter from a lady of Manchester regarding new technological developments in the cotton industry • RAFrenzy wonders what’s coming • and Natalie with a new SFR adventure • Links to all FanstRA 3 posts appear here at the end of each day! F3, Day Seven at “me + richard armitage”? In coordinating the schedule for this event and looking over the posts, I was hit by one main thing. We had comparatively more offers of general or fandom/related posts — and of posts focusing on people’s favorite chaRActers, as opposed to processing his most recent roles (last year this time we were still dealing with the Spooks 9 / John Bateman storyline, for instance, and John Porter’s fate was still at least hypothetically up in the air). I assume this constellation of posts transpired because we haven’t seen Armitage on screen in anything new since the (depressing) beginning of Strike Back 2. 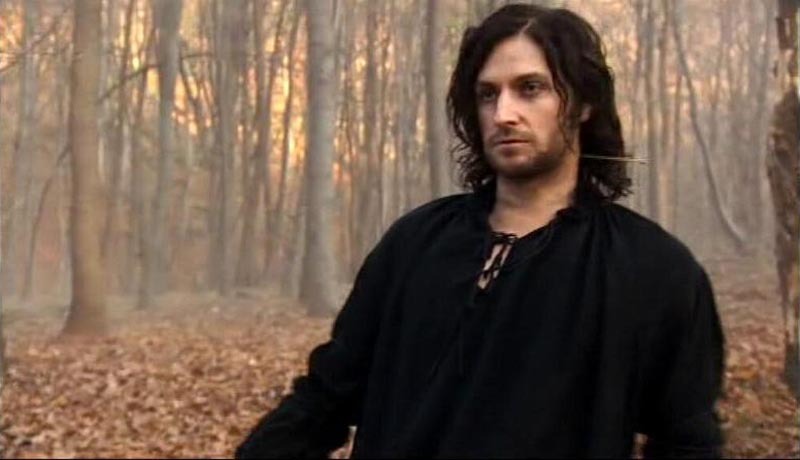 In the mix of topics for F3, I felt like Guy of Gisborne came out on the short end of the stick, relatively speaking, although I know he’s a favorite character of many people. 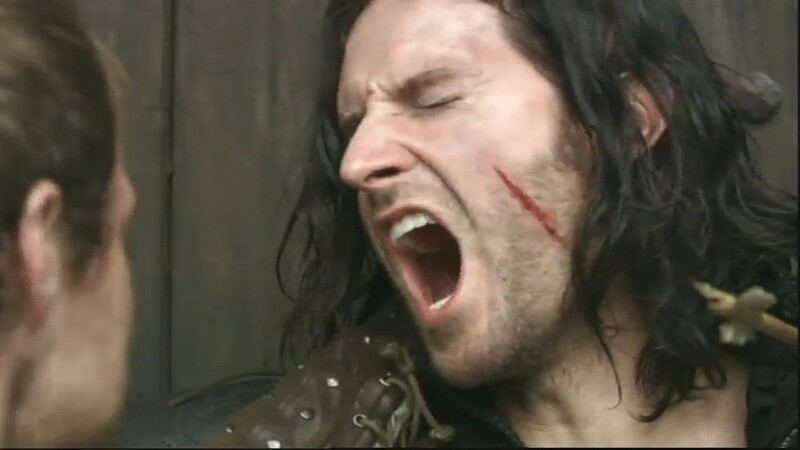 So I wanted to write a little bit on the “durability” of Guy of Gisborne. Will he last? And I tried for several hours to write a very thoughtful, comprehensive, analytical post. Nothing doing. Another time. The most important things are the hardest to write. I decided, instead, for this, which is mostly just impressionistic, random thoughts and not important at all. Guy of Gisborne is pretty durable. Before he was killed at the end of series 3, he had really taken and survived a great deal of abuse. Along with Mr. Thornton, Guy is the Armitage character with whom I identify most personally. (I also have a lot left to write about him.) So I, at least, would be sad to see him fade from the consciousness of either Richard Armitage fans or the general TV viewing public. But as time marches on, some changes are inevitable. 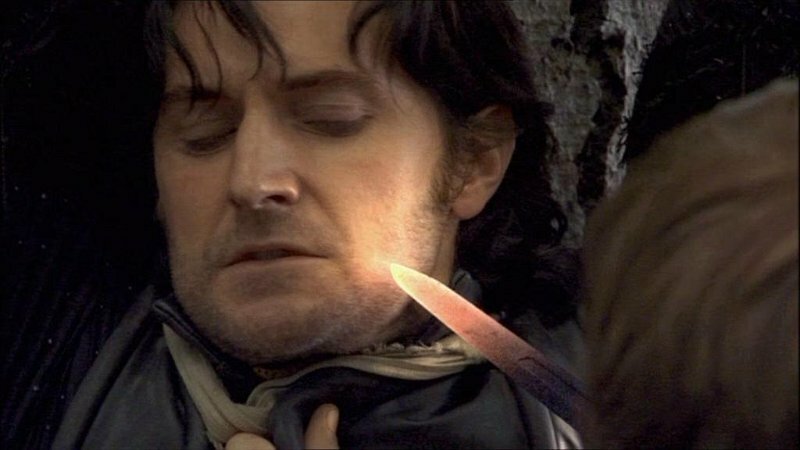 I noticed recently that the “robinhood2006” website has disappeared, and although my perspective is anecdotal, since I don’t try to survey all of the different sites for fanfic, most of the new Armitage fics I’m running across are not about Guy. Mr. Thornton was a role for the ages. Was Guy of Gisborne? His enmeshment in slapstick, cheap melodrama, and camp suggests a tendency to think not. Guy himself is starting to show signs of nervousness at his possible displacement, as in his interview yesterday at The Armitage Effect, when — confronted with the prospect that Thorin Oakenshield would join the Sloth Fiction ensemble — he frowned and showed a distinctive lack of enthusiasm about the possibility. And then, events in judiang’s therapy session last night seem to suggest that a great deal of Guy’s current psychological problems relate to his fear about competition from Thorin! It would seem that fedoralady’s granting of SND (“so not dead”) status has not fully assuaged his worries. Guy is nervous about Thorin. Durable Guy (Richard Armitage hangs on from the ramparts of Nottingham Castle as the Sheriff (Keith Allen) twists the sword he’s put into Guy’s thigh, in Robin Hood 3.6. My cap. I doubt Armitage worries about it, though. Though I wonder. In fact, I spend too much time wondering about what is in Richard Armitage’s mind. This is definitely a question I’d ask him in some bizarro world where I’d both be able to interview him and get over my frighteningly potent inhibitions about it: You admitted to moments of frustration about the scripting of the character at least once (can’t find the reference, but it was something about how Guy would be made to do something evil and there would never be any explanation). How do you feel about Guy of Gisborne three years on? Do you ever think about him, apart from when you’re asked in an interview, and say something so ridiculous that I can’t even think that you really believe it? Or are you slowly pushing him from your mind? When you say you suspect that you will still think about Thorin in six years’ time — is there an implication there about characters you don’t think about any more? Honestly, this is one of the most intriguing things you’ve ever said, and you’ve said a few. Whatever Guy thinks, whatever Armitage thinks: It seems at least plausible that the advent of Thorin Oakenshield may push Guy of Gisborne further from our memories as viewers. On paper, the characters have some similarities — they both occupy a quasi-medieval mythical world, for instance, and they are driven by broadly similar motivations and concerns; they seem, if the pre-production vlogs give us any indication, to be engaged in similar amounts of action; and they both play key roles in an ensemble cast. It was not accidental, to my mind, that the role of Guy of Gisborne was one of the things more frequently cited by Tolkien fans suspicious of Armitage’s casting in the The Hobbit. Tolkien and LOTR fans were worried about what the Guy character might portend for Armitage’s depiction of Thorin in the negative sense — they were afraid that all of the worst kitschiness of Robin Hood was now threatening their beloved project. Maybe, for them, Guy was too durable. It would not be unreasonable if there were a positive version of this very transition in the minds of Armitage fans. Some of his characters were not even touched by F3 participants. Not that those characters are despised — they’ve simply been, well, superseded. Even though the thought of these characters’ similarities tickles the back of my mind, I’m not worried about an overwhelming similarity between them on any level (and neither, obviously, was Peter Jackson). To me, the people who read Lucas North and John Porter as overly similar aren’t watching very carefully. Yes, it’s a stereotype that occurs to some viewers, and it may even be a stereotype that matters in the minds of people who cast, but that doesn’t mean it’s accurate or that I or anyone else should feel compelled to care about it. What I worry about, though, between Robin Hood and The Hobbit is the oversimplification of silliness vs. seriousness. Because The Hobbit will definitely be read as “serious.” And that fact, in turn, will mean any attempt to read Robin Hood as serious will have a higher hurdle to get over. I’ve said before that I read Armitage’s performance in Robin Hood as expertly treading a very fine line between pantomime and life lesson, and I want to explore that more, and I fear sometimes that The Hobbit will make that impossible. It will make Robin Hood recede into the distant past of Armitage’s television actor days, and even Armitage fans will concede its transitory quality — though I still have things to learn from Armitage through Guy. Some people will surely maintain that Guy will persist in our awareness simply because he looks so good — even when he’s dirty and nasty. I don’t deny this, but still, what always remains from Guy with me, even when I’ve switched off the screen I was using to view him, is not so much his looks as the nuances of his body language. I admit that before I turn on any episode of Robin Hood, I am always asking myself how I can possibly be watching it (and again!). And the answer is always: the extreme seriousness with which Armitage always took his role. The way he combines the grace of a dancer, conforming to the camp of his costume, with the superciliousness of the petty bureaucrat on the make, obsessed with his own importance, and the way he mixes these in his body language with the constant reminders of his own awareness that Guy is not all he wishes he could be, that he does not yet have the status and power he seeks, that his desire to regain his position is constantly driving him forward and egging him on, even as it reminds him forcefully and with scorn of his inadequacies and failures. 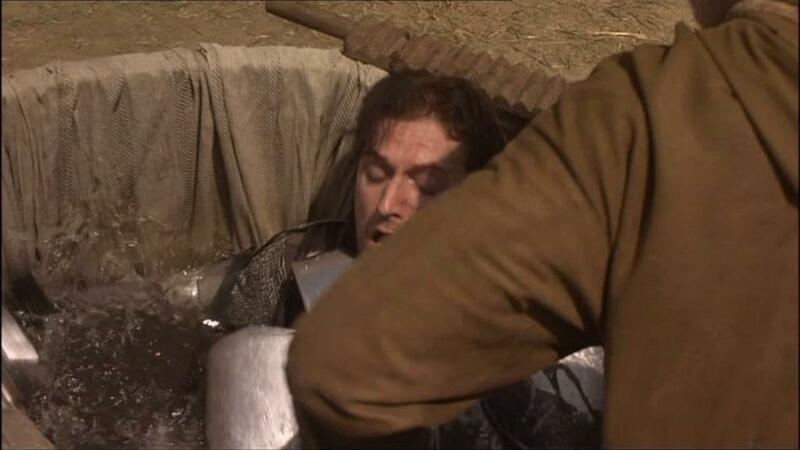 Dear Friend would say no one plays humiliation like Armitage, and Guy has so many different kinds of humiliation to signal, even as he plays his position of evil henchman and wannabe knight on the make. The energy that goes into the spectrum of gestures and expressions he gives Guy is, in itself, electrifying. The main thing, I think, that makes Guy durable: the fact that his own emotions, his own drives, his own securities, will never die. Thorin is nobler than Guy. When Armitage says that Guy thinks he’s quite a fine thing, however, I can’t help but agree — no matter who Thorin is or becomes. Because Guy is so unbelievably subtle. From an actor who plays the entire spectrum of masculine anger, pride and humiliation with subtle drawn strokes and unbelievable subtlety, we’re given so much to observe and reflect upon here. Yes, Guy is durable in the sense that a cartoon character is — throw him off a cliff and he bounces right back. But had Armitage made him merely into a durable cartoon, there’s no way the Robin Hood writers would have turned to the extensive treatment of his past that they provided in series 3 in general and episode 3.10 specifically. They had to do this because Richard Armitage also made him durable in the sense that real humans are — humans, like Guy, who have to keep on living despite abandonment, conflict, betrayal, unfulfilled ambition, and spurned love. Somehow, despite his worries, despite my worries, I can’t help but think or at least hope that Guy will survive the Thorin explosion. There may be a brief defection, as Armitage fans rush over to meet and greet the new chaRActer — and it seems likely that those who love beardplay may be ineluctably drawn to the dwarf and his luxuriant facial follicles. But I think, and expect, that this particular blow may knock Guy down or daze him for a moment — but that he’ll pick up his head, shake the dust off, and: continue to enchant us. 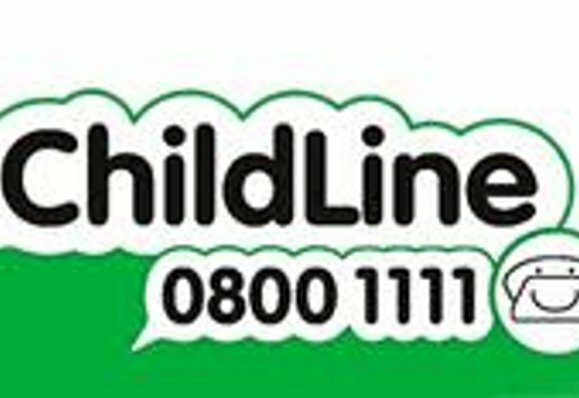 My favorite of the charities Richard Armitage has raised money for on JustGiving is Childline. If you liked this post or appreciate Armitage’s work, please consider making a donation of yourself. Demand for the service in most of the UK is up, and in some places only a portion of calls can be answered. As always, many worthy causes deserve our support, but this week I’m blogging to draw attention to this one. Thanks for listening. ~ by Servetus on March 18, 2012. Excellent post. I think Guy is quite durable. If he weren’t we wouldn’t still be talking about him. He’s the ultimate fantasy figure, the kind you’d never want to meet in RL, but can secretly and safely cheer on. We can identify with his failures and inadequacies. It’s interesting that this character was chosen as the one to feel most threatened by Thorin. by both you and fedoralady! Thanks so much for this. Guy has expressed more than once a fear that he would be forgotten by his Creator’s fandom and I have tried to calm those fears. I, for one, will never forget him. I regularly share photos of him and vids about him at my blog, along with poetry and prose. There’s a least a little Guy every day. And no one has complained so far. He’s flawed, yes, and he’s attached himself to a poisonous influence in the sheriff. But there is always humanity in him, even when he tries to suppress it. His vulnerabilities, his insecurities, his yearning for love and family . . . they make him human. And I will always love him. But it IS going to be hard for him with Thorin knocking at the door. We shall see what transpires . . .
hopefully he will read the comments below and be reassured. that was really true of him. My goodness. It was sort of medieval henchman whack a mole there for awhile. You might be referring to Mulubinba’s analytical posts on Guy. I find them very good. Guy will survive our attention next to Thorin. I have no doubt. Thorin might be more thoughtful than Guy. There are more forces out there that mold Thorin than RA alone. Peter Jackson will instruct RA as Thorin too. It is said that PJ has not watched previous work of actors during casting process. Maybe that is on purpose. If acting as Guy is pantomime, then I’m glad RA gives so many nuances in his acting. Since I watched one play with English actors (like I am in the know), I became aware that that is usance, part of English acting tradition. Wish more Dutch actors had been crafted into doing that ‘little’ pony trick. That would have enriched them with acting tools. As always I admire RA’s acting like you said he does humiliation so well. Not only for that reason, but he dares to do it too. Think that’s part of the English acting tradition. It is rigidly asked of you, and you perform it well, or you’re not casted for that role. Get the impression that that’s the deal in his industry. I have some troubles with my gravatar, I see. And like the many fans who met RA through Guy and then sought out N and S, Spooks, Naxos audios etc., they’ll follow the same path. 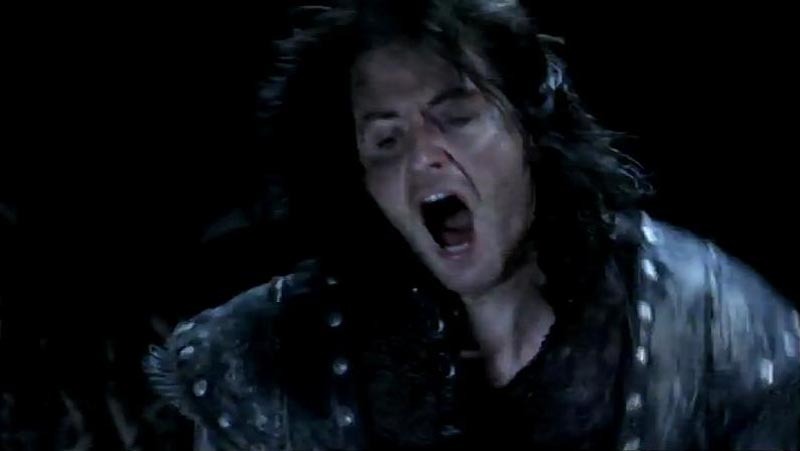 But for me, who tried to give Gisborne an alternate life far from the machinations of Sherwood psychosis, I’d like to think he lives on for ever in people’s minds as one of the all-time television (almost) baddies! that’s a good point. Although I still wonder if you watch that first episode what you think / expect. A lot of the people who had RH as their vector report it not hitting them immediately. I have to say Guy didn’t take control of my psyche initially, it took a while. But by the end of the first series, I was firmly entrenched in his camp. And I definitely wanted to see a lot more of Mr. A’s performance, which led me to N&S, Sparkhouse and VoD. Perhaps if people know a bit more about the series before they start watching–that Robin is not going to be like the Robins of past productions, that there is a certain campiness to it all which can nonetheless be quite enjoyable–that will help. Forewarned is forearmed. 😀 Really, it’s a performance and a character that deserves to be discovered and savored. Well, although I’m ashamed of my very poor English, I simply can’t resist a post about Guy. Personally I don’t believe any new character can possibly take the firm 1st place Guy has in my (un)conscious RAfan dimension. Thorin will surely gain him lots of new fans, and a new perspective to look at for old ones. But we already know how deeply, thoroughly and completely he plunges into a character, so it won’t be a surprise to see him become Thorin… problem is that Thorin himself isn’t as attractive a character as Guy is, despite – or better because of – all his faults. Thorin is an epic character, and I’m sure Richard Armitage will make him much more nuanced (and therefore appealing) than the one depicted in the novel. But still, Guy is much more. I found irresistible the way RA forced the writers to move from a bi-dimensional vilain, as seen in the first 2 eps of series 1, to a much more faceted character: they couldn’t miss the opportunity, having such a good actor to deal with. 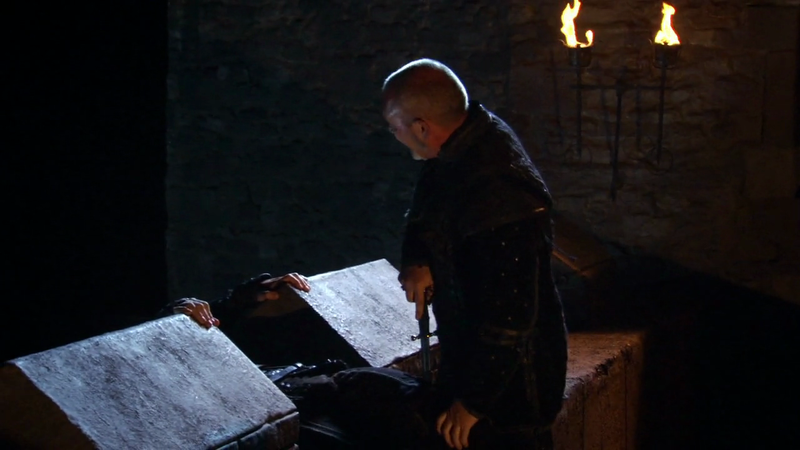 Not surprisingly, my favourite scene in the whole 3 series is the Robin – Guy confrontation in ser. 1 ep. 8: amazing! As for the way he plays the baddie, I like listening to him saying “When you see something which is written down in quite a comic and slapstick way, it is easy to dream of it in a slightly cartoon way. But it’s our job to pull it back, make it as dark as possible, and let the comedy work for itself. There is a fine line between making the Sheriff and Gisborne comic in their evilness because it is very funny – what they do and the way they do it. If the comedy is there it will take care of itself, you don’t need to play the comedy. Actually, if you do the opposite, if you play it quite straight, the comedy seems to leap out of its own accord. So I tend to leave it alone”, in the commentary of RH Audiobook 1. I don’t think you need to be ashamed of your English. Thanks for the comment! I thought Richard just got better and better as RH progressed. Guy became ever more complex and fascinating to watch, a man so full of conflicts, haunted by the pain of his past, struggling to gain his rightful place in the world, hungry for power and wealth and also love and acceptance, desperately in love with a woman that brought him humiliation and rejection. Richard always respected the role IMHO and it was a veritable tour de force he gave us in the last series–epic, operatic in some ways, and yes, his Shakespearean training and his Method acting training were clearly seen. Servetus, another great post. I agree with the others here, Guy will live on. He is simply too unforgettable to do otherwise! Lovely essay! As you know, I’m a fan of exclamation points. Ha! I think that Sir Guy is “durable” also. And Richard Armitage portrayed him to perfection as you and others suggest. In the hands of a lesser actor, Sir Guy would have been a one note baddie. But RA made Sir Guy complex and human for us. And in my heart Sir Guy lives to continue his redemption by living as the better man we all hoped he could be. P.S. And my kudos to you and the FanstRAvaganza 3 Planning Team, the Core Bloggers, and other Tag Team Bloggers for a fantastic week! Thanks for all the comments here. 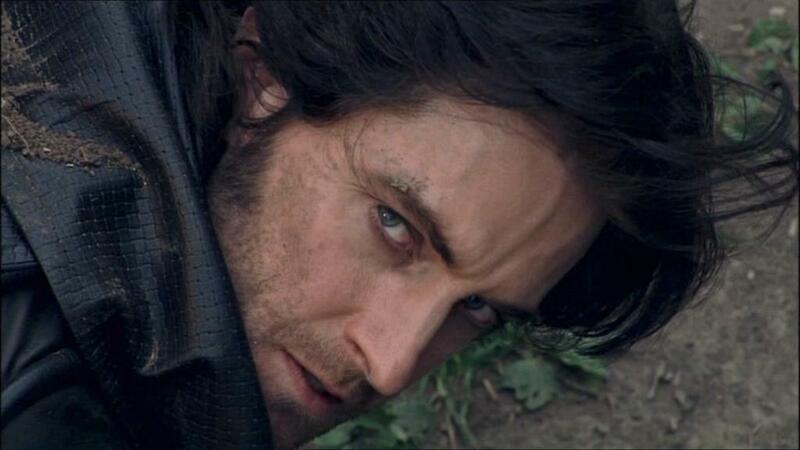 It’s nice to know that we at least will not forget Gisborne! Thank you for another very interesting post about Guy. I believe Guy of Gisborne will live on as one of the most complex villains in television history. I do think the way he looks in the leather just adds to the allure and the mystery of Guy. You can’t really divorce the man and the look. I also think RA’s Guy will live on because the legend of Robin Hood will live on. I believe there will always be someone who stumbles upon the series because of the Robin Hood legend and will then have the thrill of discovering Guy. Before we leave the last day of F3, many thanks to Servetus for the tech organisation that went into this year’s international online celebration. Agreed, Fitzg. A job well done! Does anybody every forget their first love? I think not. And while I didn’t literally fall in love with Guy, he was my first exposure to RA. So I know, I for one, will never forget Guy. However not so sure about television audiences in general. And considering Thorin will have lots more exposure than Guy, it may be that Guy will become just a footnote in RA’s career. I hope you still check this blog for replies. I am most ardently in love with Guy, yes because he is gorgeous, but I have never read anyone voice his attributes and mirror my own feelings and thoughts about the way Richard played Guy like you have. His way of turning Guy from a “robot’ as Richard himself described Guy, to a complex man filled with the dichotomy of his desire for power and status and his need for love and understanding was just fantastic! Guy will live forever in my heart and in my Fanfiction! Guy lovers of the world, UNITE!